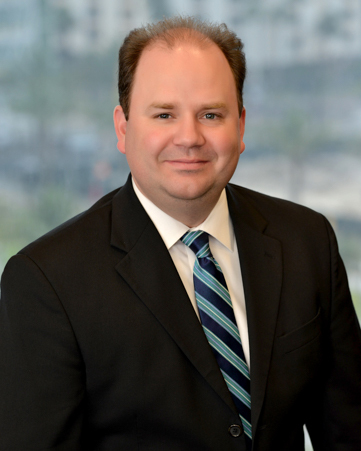 Brett Renton is a partner in the Orlando office of Shutts & Bowen LLP, where he is a member of the Business Litigation Practice Group. Brett is a Martindale-Hubbell AV® Preeminent™ rated attorney and has been recognized by Florida Super Lawyers in business litigation. He represents individuals, companies, corporations, banks and government entities in business litigation, landlord-tenant litigation, government law and construction law. Brett has handled contract disputes, partnership breakups, dissolutions of companies, franchise/franchisee matters, and debt collection. He also works on both compliance with and litigation over consumer protection laws including the Fair Debt Collection Practices Act (FDCPA), Florida Consumer Collection Practices Act (FCCPA), and the Telephone Consumer Protection Act (TCPA). Brett represents tenants and landlords in all aspects of lease transactions, with an emphasis on commercial leasing. He has handled eviction claims, non-payment of rent actions, non-monetary defaults, and other leasing issues. Among other government clients, Brett has represented the Sanford Airport Authority, the government entity that runs the Orlando-Sanford International Airport, for nearly 10 years. Brett has handled compliance issues concerning: financial and document disclosure requirements, public meeting requirements, federal and state grants, the Florida Sunshine Law, employee concerns, construction, environment, eminent domain and inverse condemnation matters. Brett represents entities on construction defect disputes. In one particular case, a suit was filed for defective construction of a 23-building apartment community. Brett worked with the remediation company and client while in litigation to ensure no spoliation of evidence claims could be advanced by the parties sued. Brett also handles construction lien issues on behalf of contractors and homeowners.